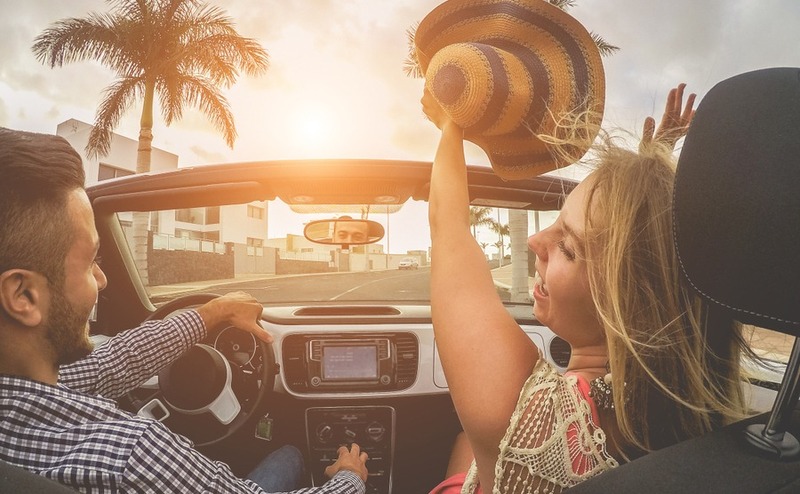 Cruising along the paseo maritimo, arm hanging out of the window in the summer sun, sounds of a Mediterranean disco beat blaring out…, who doesn’t love driving in Spain! If you’re out in the countryside it’s a necessity. So we know that many readers have questions on driving in Spain. Such as when do you need a Spanish licence, and can you licence your own British car? We’ve been looking under the bonnet of the Spanish road licensing system. Bear in mind, that these rules are intended to keep you, and your car, safe. When you’re moving to Spain, or buying a holiday home there, car rentals can soon get pricey. If you are bringing a car into Spain from the UK, there is a specific process you will need to follow to ensure that everything is legal. There are also several documents you need to produce. The most important consideration is that once you are resident in Spain you can only use a foreign plated car for 30 days. Of course, many people do continue to use their car with UK plates, but they risk a fine of €500. If your car is impounded the charge is €9 per day until the plates are changed (and the fine paid). The most important consideration is that once you are resident in Spain you can only use a foreign plated car for 30 days. You must have all proper documentation before you enter the country with your vehicle, or you might not get past customs. Documents include: the receipt showing you bought it (with a legal translated version), the original vehicle title certificate and your own passport. This might seem draconian, but Spain does not want to become a destination for stolen vehicles. Once the UK leaves the EU next March you may also find that you need further documentation. These are likely to include the Single Administration Document which is used for trade with non-EU countries and for the movement of non-EU goods within the EU. If we stay in the customs union it should not be required however. You will also need to pay import tax and duty on the car. For a normal car, this is set by the EU at 10% of the market value of the vehicle. For a motorcycle it will be between 6-8% depending on the size of the engine, while for trucks it is set at 22%. This percentage reduced in increments depending on the age of the car. You will also need to pay import tax of 21% on top of this. The inspection will ensure the safety and legality of the following areas: exhaust emissions, interior and exterior lights, brakes, suspension, steering, bodywork conditions (such as mirrors etc. ), and tire thread. Once this inspection has been completed, you will receive an ITV Certificate – and once you have received this, you will be able to register your vehicle. At this point you will need to pay a one time registration tax, as well as the first annual road tax – which must then be paid in subsequent years; it is important to note that if you complete this process from one month of arriving in Spain, you maybe exempt from registration tax. At this point you will be able to put on Spanish plates, thus completing the car import procedure. Once you have moved to Spain and are planning to drive while living there, you will usually need to obtain a Spanish driving licence to do so as soon as you become resident here. There are a number of reasons for this, partly due to the the different licence conditions in different countries; in the UK, for example. you do not need to receive a medical check-up when you turn 70, and in Germany, your driving licence will never expire. This means that the Spanish authorities are able to check on the health conditions and abilities of all foreign drivers in Spain. You will be able to use your foreign driving licence for the first six months after you arrive in the country, but must obtain a Spanish’s licence after this, but if it is not in Spanish you must also carry an official translation or an International Driving Permit (IDP) which must be carried at all times, along with the actual driver’s licence.. You will need to either exchange your foreign licence for your Spanish licence, or take out a new licence – the option for British citizens may well depend on the arrangements made once the UK leaves the EU next March. Before you switch your licence, you will still need to register your details with the Spanish traffic authorities and adhere to the same conditions as Spanish licence holders – including undertaking medical checks. If you do not exchange your licence within the correct time period you will receive a fine if you are caught. • a declaration in writing saying that you have not been banned or suspended from driving, and that you do not hold another driver’s licence of the same class in another country. Could you persuade friends or family to buy in Spain with you? Send them our guide, Buying Abroad with Family. Citizens of some countries, such as Australia, will usually need to take the full Spanish test to receive their Spanish licence – and it’s possible that once the UK leaves the EU British citizens will need to do the same. To do this, you will need to apply at the Provincial Traffic Headquarters with a certificate of mental and physical fitness from the Authorised Drivers’ Check Centre, alongside an application form, two passport-sized photographs, a residence permit and proof of address in Spain. You will need to take lessons through a recognised driving school before you take the test; this is divided into two parts – a written theory test and a practical test, taken in Spanish but you can take a translator with you. The written test will be 30 multiple-choice questions, which will usually be very straightforward as long as you study! You will also, of course, need to go through the above if you are a new driver applying for your first licence in Spain. You will need to register with a driving school, and take medical and vision tests.